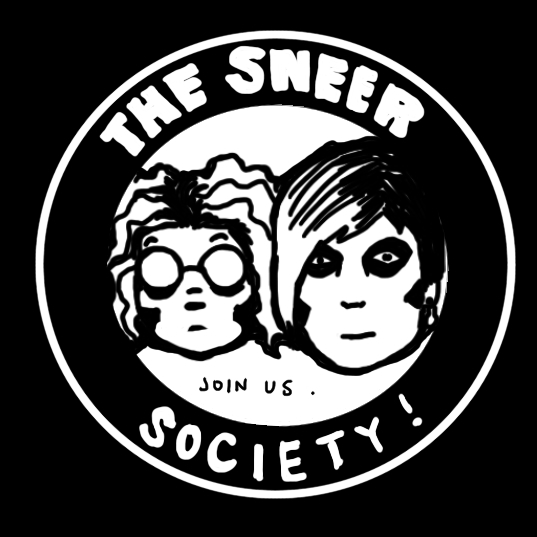 The Official Fan Club of Sneer Campaign is here: Sneer Society! Yes, the thing we mentioned as a pretend subscription service is now here as a for-real lifetime membership for our most devoted fans. Whether you’ve been with us since our first post or you’ve just recently discovered us, we appreciate you! To everyone who has read our posts, printed our coloring pages, cut out our paper dolls, listened to our playlists, and more, we’re so glad that you took some time to give us a chance, and to appreciate us as much as we appreciate ourselves. Now, here’s your chance to be a part of Sneer Culture. Taking cues mostly from the offers in the backs of old comic books, we have assembled a package of fabulous treats for any of our beloved readers who are willing to shell out $20 USD to prove their loyalty. Hi Bret! You should email us at sneercampaign@gmail.com we’d love to have you!